Never underestimate the need for kitchen shears! 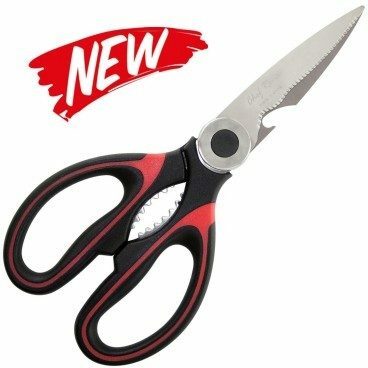 Order these Heavy Duty Kitchen Shears for Only $12.95! (Reg. $35)! HIGH QUALITY CORROSION RESISTANT. Sharp stainless steel blades with micro-serrated edge for slip proof cutting. Makes food prep a ‘snip’!